When Spain withdrew after ending it's colonal rule in 1975, Morocco quickly occupied the area. UN resolutions calling for a referendum on sovereignity led to nowhere. Morocco insists that Western sahara is Moroccan territory, not giving any reasons and in spite of all peoples right to self determination. 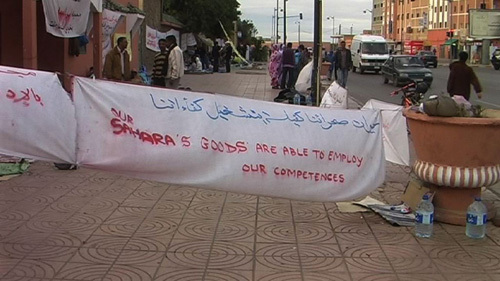 The reasons behind Morocco's occupation is of course to get access to the wealth of the country, phosphate and fishing, to name the main resourses. Fishing rights are sold to the EU, mainly Spain, in a clear breach of all international rights. According to the agreement, of what EU pays for the rights to Morocco, a large part, 10 million euros per year, should be spent on developing the local fishing industry as well as stimulating the area as whole. This is not done. Of course the EU doesn't bother about that. There are no jobs, no education, no opportunities. 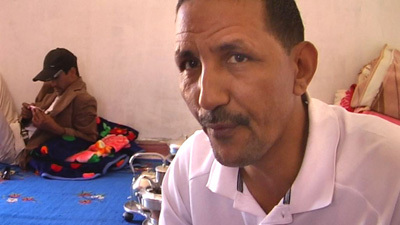 So the Saharawi population is suffering, economically and politically. There are demonstrations, brave people try to address the situation. But only one problem, there is no audience. Well, to be correct, there is an audience. 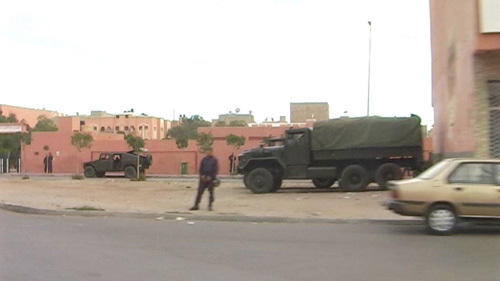 The Moroccan security apparatus which costs Morocco a huge part of it's state budget. And activists have found a virtual audience, Facebook and blogs. 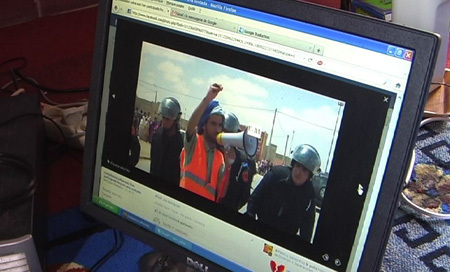 Hopefully there is a new awareness in Europe and Morocco among the youths about this opression and denial of a pople's basic rights. Some even spend years in prison after having protested.